Watching MILK helped me realize why I liked FROST/NIXON slightly less than I thought I would. Looking back, I think that FROST/NIXON felt like a movie about the 70s made in the 21st century. It wasn’t bad, it wasn’t glaringly obvious (accentuated by the point that I’m just realizing it now), it just wasn’t quite what it could be. But MILK, on the other hand, gets it right. MILK feels like a 70s movie infused with the higher quality film techniques of today. There is nothing about MILK which feels inauthentic or forced. 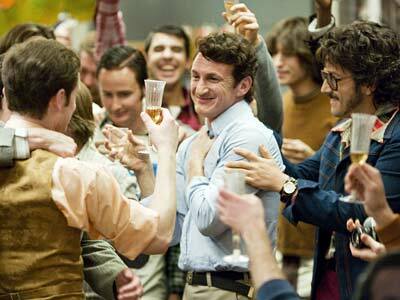 MILK (2008) is a biopic about Harvey Milk, the first openly gay man elected to political office in the United States. I watched it on 3.5.09. It was my first viewing of the film. ~ by johnlink00 on March 6, 2009.